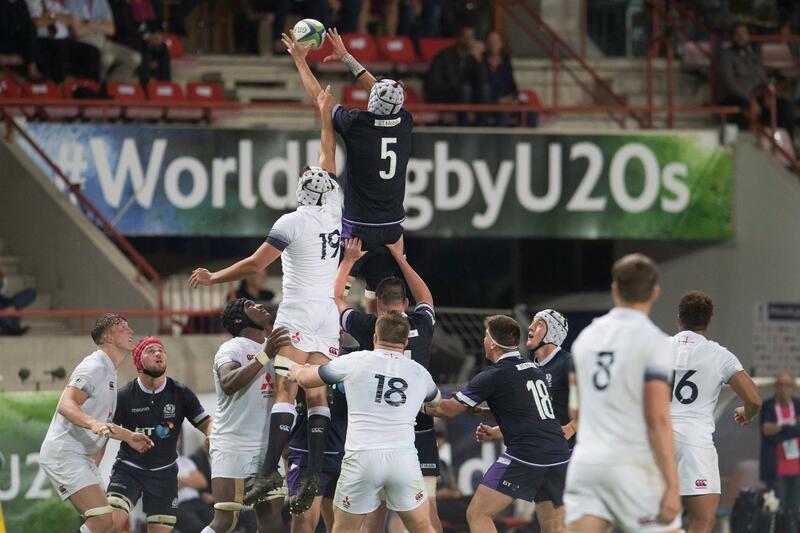 World Rugby U20 Championship 2018: England v Scotland Charlie Jupp takes a lineout for Scotland against England on day three of the World Rugby U20 Championship 2018 at the Stade de la Mediterranee in Béziers on 7 June. Photo: Laurent Boutonnet / World Rugby. 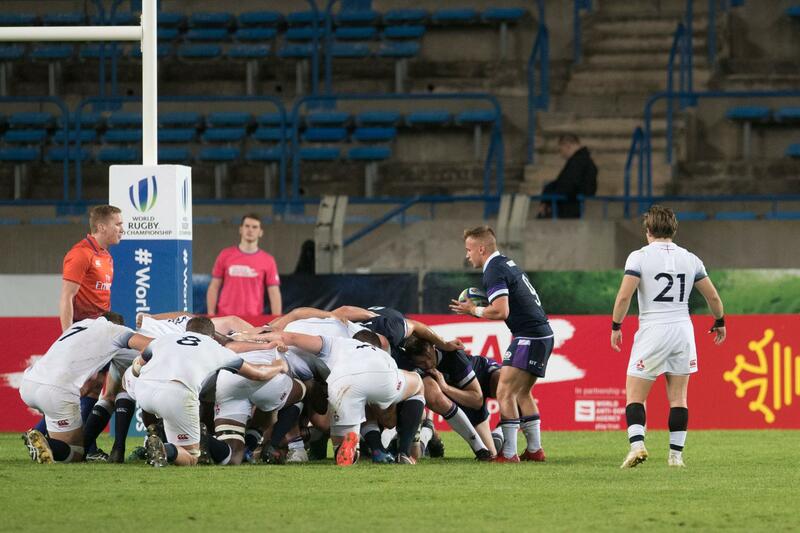 World Rugby U20 Championship 2018: England v Scotland Charlie Gowling feeds a scrum for Scotland on day three of the World Rugby U20 Championship 2018 at the Stade de la Mediterranee in Béziers on 7 June. Photo: Laurent Boutonnet / World Rugby. 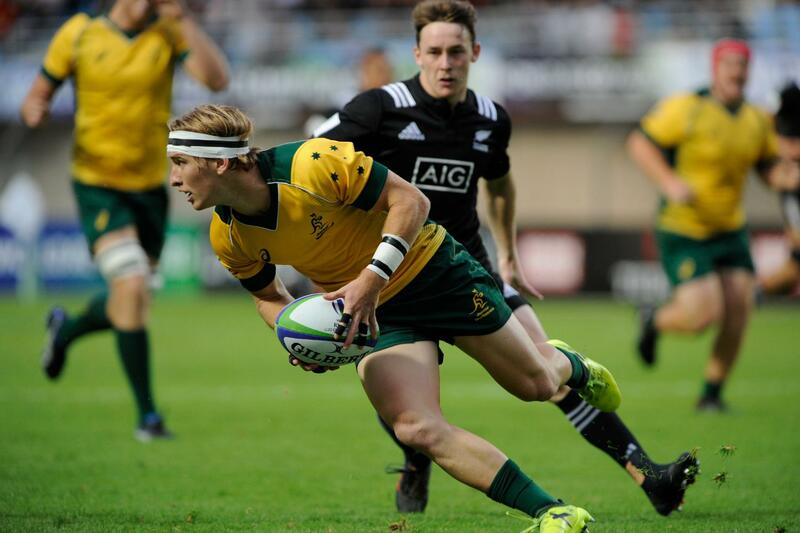 World Rugby U20 Championship 2018: New Zealand v Australia Jamie Spowart on day three of the World Rugby U20 Championship 2018 at the Stade Aime Giral in Perpignan on 7 June. Photo: Pascal Rodriguez / World Rugby. 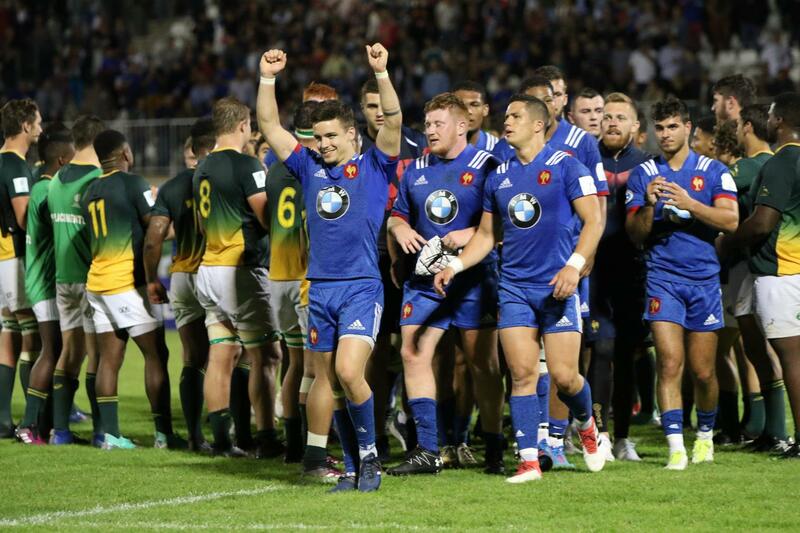 World Rugby U20 Championship 2018: South Africa v France France captain Arthur Coville leads the celebrations after his side beat South Africa to top Pool C on day three of the World Rugby U20 Championship 2018 at the Stade d'Honneur du Parc des Sports et de L'Amitie in Narbonne on 7 June. Photo: Stéphanie Biscaye / World Rugby. 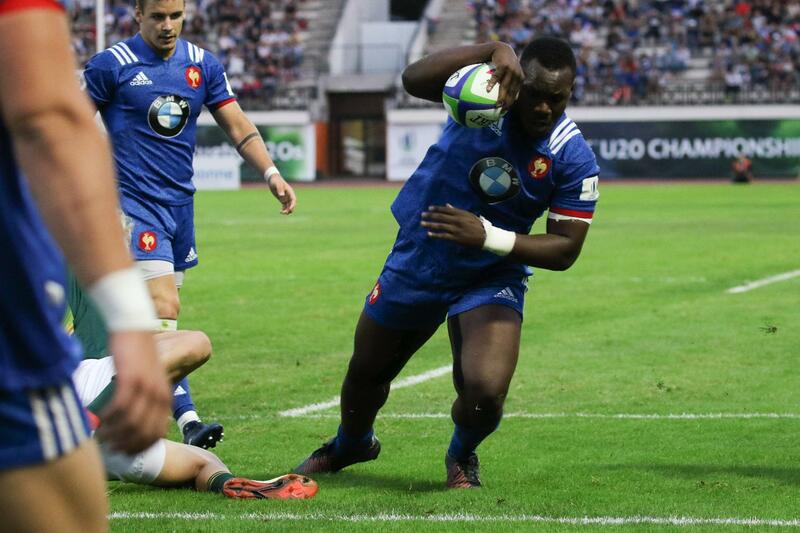 World Rugby U20 Championship 2018: South Africa v France Wandisile Simelane scoring for South Africa against France on day three of the World Rugby U20 Championship 2018 at the Stade d'Honneur du Parc des Sports et de L'Amitie in Narbonne on 7 June. Photo: Stéphanie Biscaye / World Rugby. 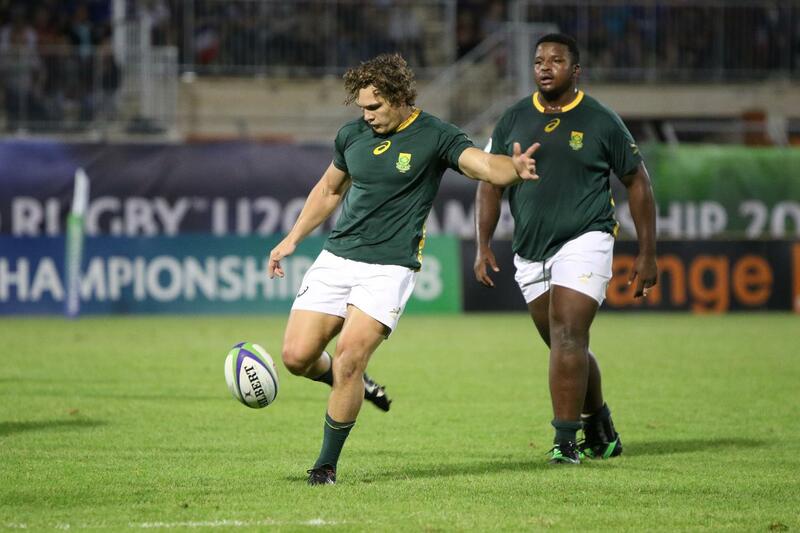 World Rugby U20 Championship 2018: South Africa v France South Africa kick ahead against France on day three of the World Rugby U20 Championship 2018 at the Stade d'Honneur du Parc des Sports et de L'Amitie in Narbonne on 7 June. Photo: Stéphanie Biscaye / World Rugby. 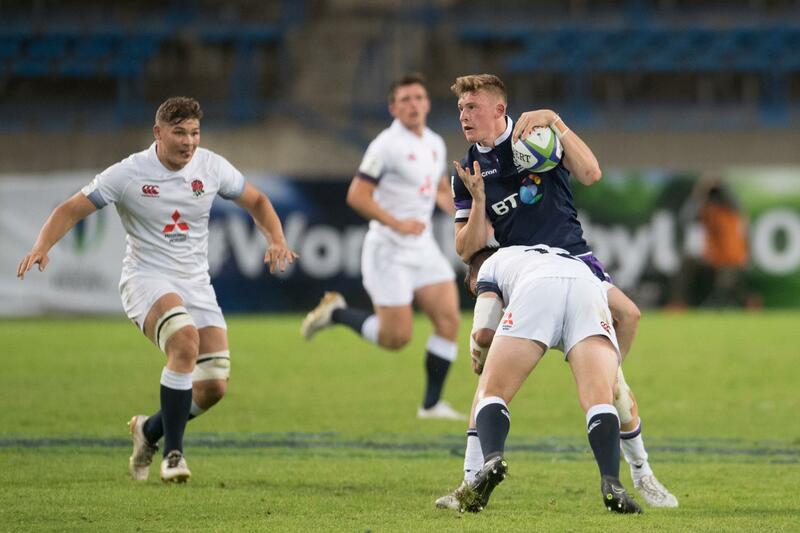 World Rugby U20 Championship 2018: England v Scotland Scotland failed to repeat their Six Nations win over England on day three of the World Rugby U20 Championship 2018 at the Stade de la Mediterranee in Béziers on 7 June. Photo: Laurent Boutonnet / World Rugby. 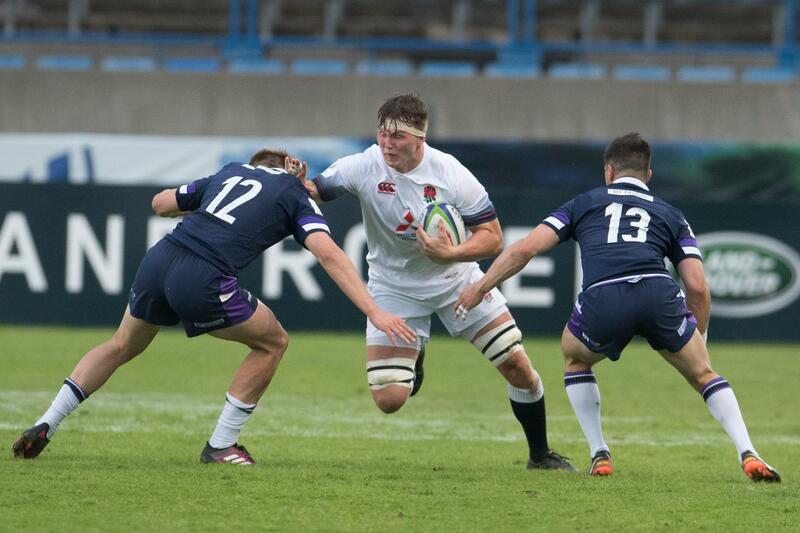 World Rugby U20 Championship 2018: England v Scotland England prop Claran Knight on the charge against Scotland on day three of the World Rugby U20 Championship 2018 at the Stade de la Mediterranee in Béziers on 7 June. Photo: Laurent Boutonnet / World Rugby. 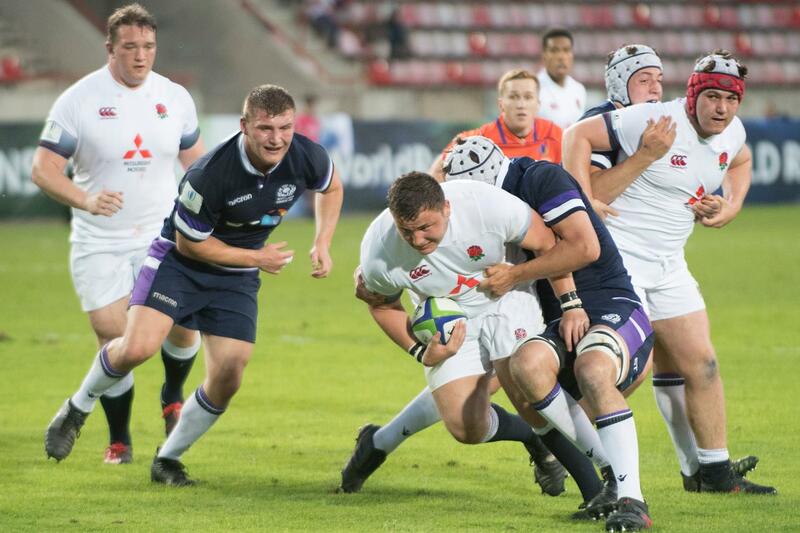 World Rugby U20 Championship 2018: England v Scotland England started strongly against Scotland in their Pool B match on day three of the World Rugby U20 Championship 2018 at the Stade de la Mediterranee in Béziers on 7 June. Photo: Laurent Boutonnet / World Rugby. 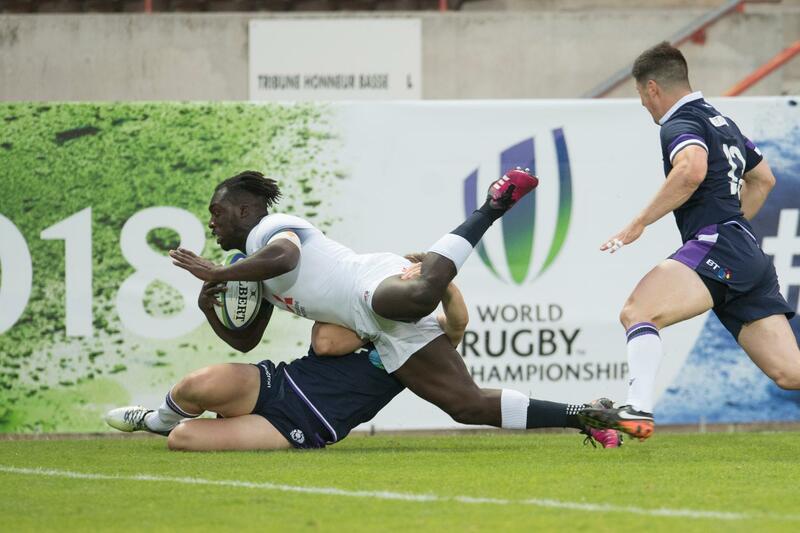 World Rugby U20 Championship 2018: England v Scotland England winger Gabriel Ibitoye scores one of his tries against Scotland on day three of the World Rugby U20 Championship 2018 at the Stade de la Mediterranee in Béziers on 7 June. Photo: Laurent Boutonnet / World Rugby. 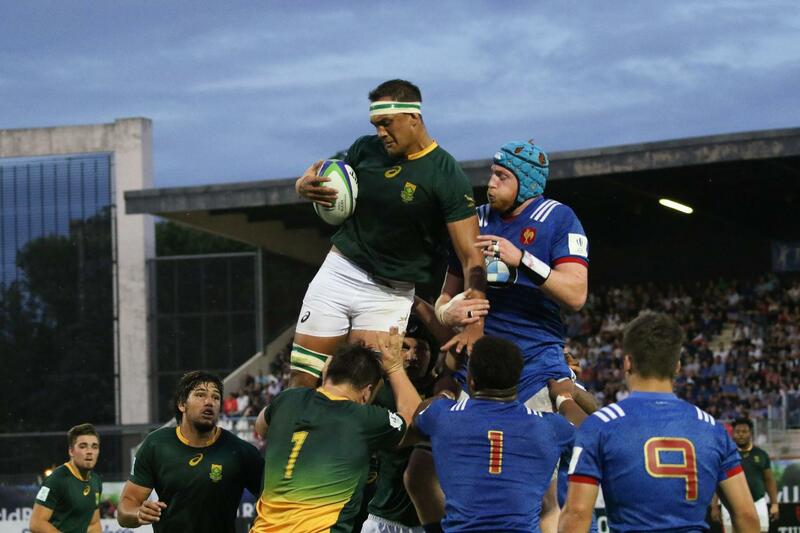 World Rugby U20 Championship 2018: South Africa v France South Africa captain Salmaan Moerat climbs highest in a lineout in their Pool C decider with France on day three of the World Rugby U20 Championship 2018 at the Stade d'Honneur du Parc des Sports et de L'Amitie in Narbonne on 7 June. Photo: Stéphanie Biscaye / World Rugby. 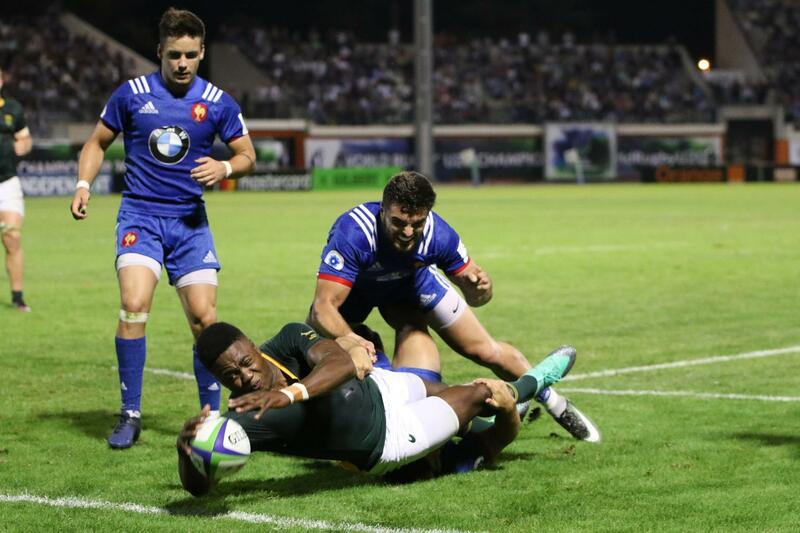 World Rugby U20 Championship 2018: South Africa v France France number eight Jordan Joseph scores one of his two first-half tries against South Africa on day three of the World Rugby U20 Championship 2018 at the Stade d'Honneur du Parc des Sports et de L'Amitie in Narbonne on 7 June. Photo: Stéphanie Biscaye / World Rugby. 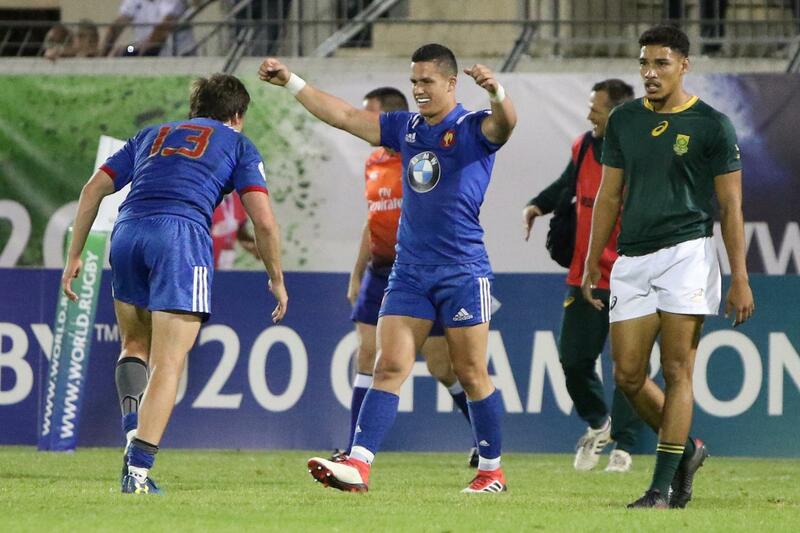 World Rugby U20 Championship 2018: South Africa v France France players celebrate one of their five first-half tries against South Africa in their Pool C decider on day three of the World Rugby U20 Championship 2018 at the Stade d'Honneur du Parc des Sports et de L'Amitie in Narbonne on 7 June. Photo: Stéphanie Biscaye / World Rugby. 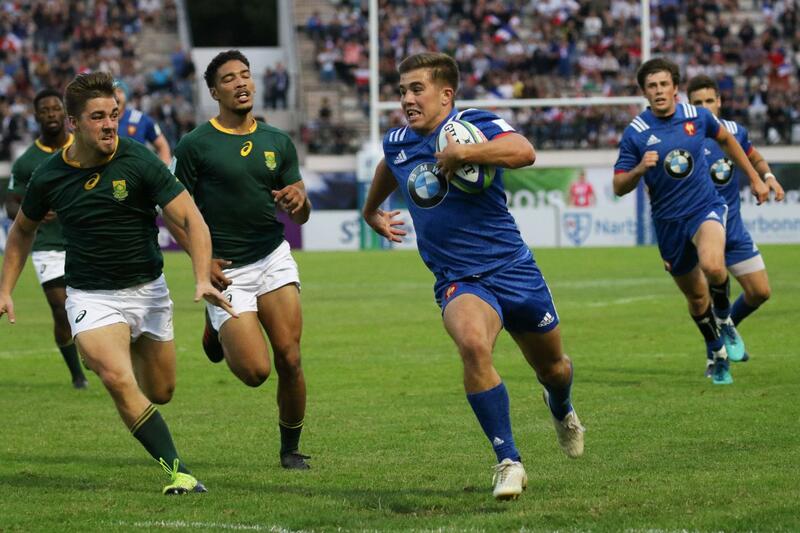 World Rugby U20 Championship 2018: South Africa v France France fly-half Louis Carbonel runs in a first-half try against South Africa on day three of the World Rugby U20 Championship 2018 at the Stade d'Honneur du Parc des Sports et de L'Amitie in Narbonne on 7 June. Photo: Stéphanie Biscaye / World Rugby. 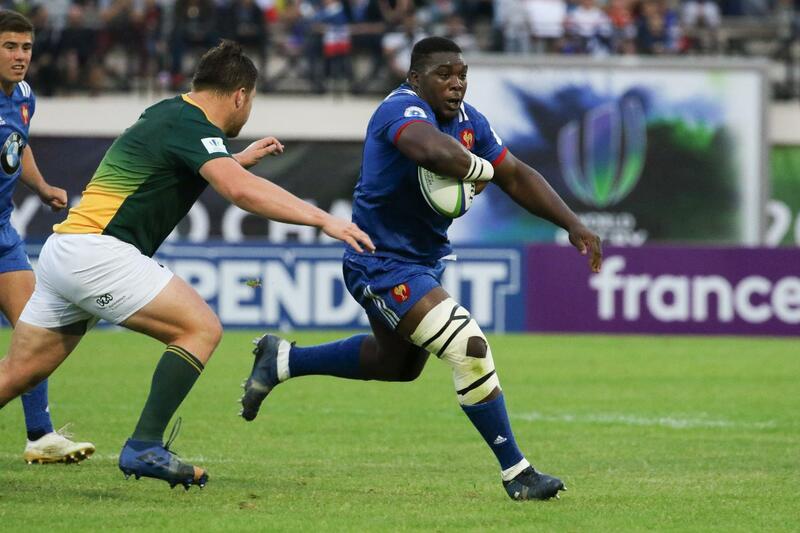 World Rugby U20 Championship 2018: South Africa v France France prop Demba Bamba on the charge against South Africa on day three of the World Rugby U20 Championship 2018 at the Stade d'Honneur du Parc des Sports et de L'Amitie in Narbonne on 7 June. Photo: Stéphanie Biscaye / World Rugby. 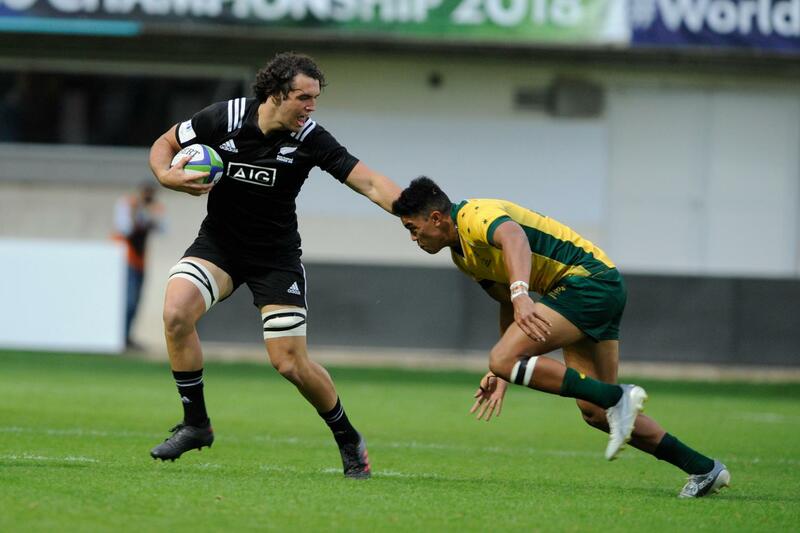 World Rugby U20 Championship 2018: New Zealand v Australia Australia captain Tate McDermott tries to evade a New Zealand tackle on day three of the World Rugby U20 Championship 2018 at the Stade Aime Giral in Perpignan on 7 June. Photo: Pascal Rodriguez / World Rugby. 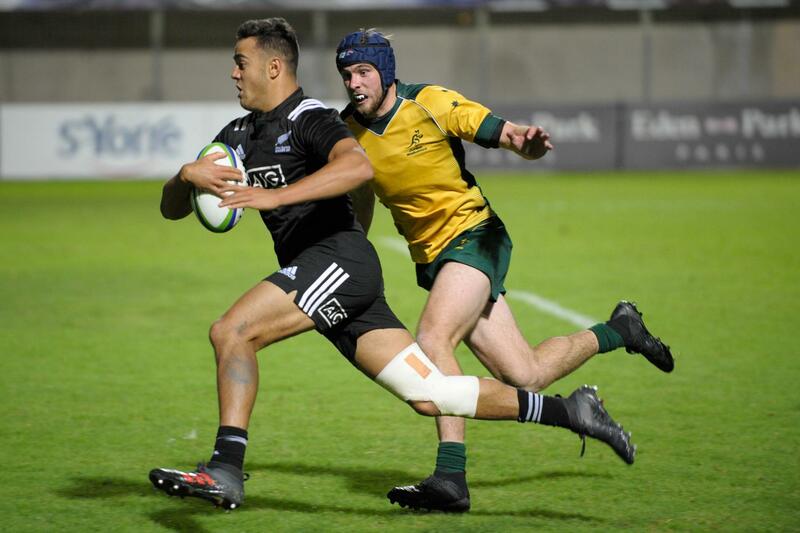 World Rugby U20 Championship 2018: New Zealand v Australia New Zealand number eight Devan Flanders raced 70 metres to score at try against Australia on day three of the World Rugby U20 Championship 2018 at the Stade Aime Giral in Perpignan on 7 June. Photo: Pascal Rodriguez / World Rugby. 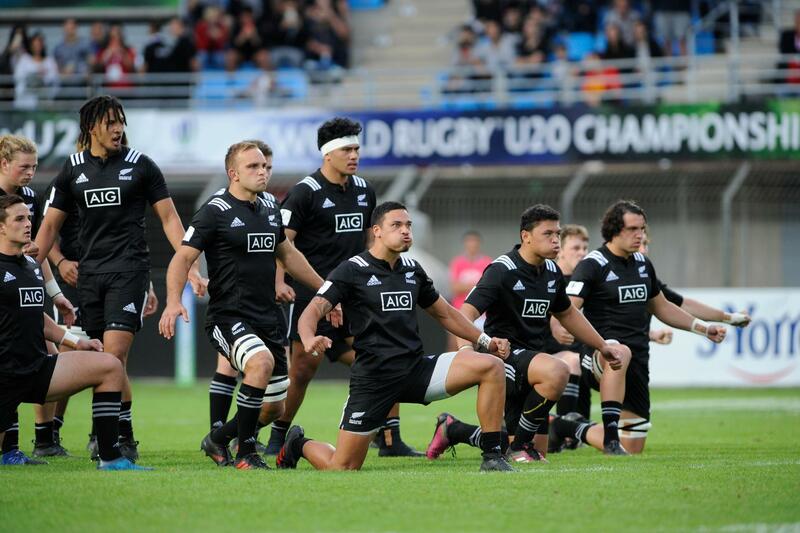 World Rugby U20 Championship 2018: New Zealand v Australia New Zealand perform the haka before their Pool A decider with Australia on day three of the World Rugby U20 Championship 2018 at the Stade Aime Giral in Perpignan on 7 June. Photo: Pascal Rodriguez / World Rugby. 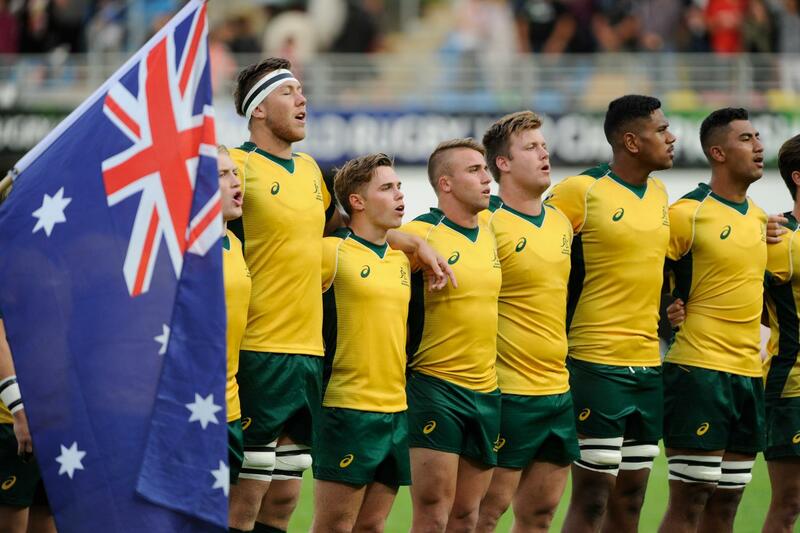 World Rugby U20 Championship 2018: New Zealand v Australia Australia sing their anthem ahead of their Pool A decider with New Zealand on day three of the World Rugby U20 Championship 2018 at the Stade Aime Giral in Perpignan on 7 June. Photo: Pascal Rodriguez / World Rugby. 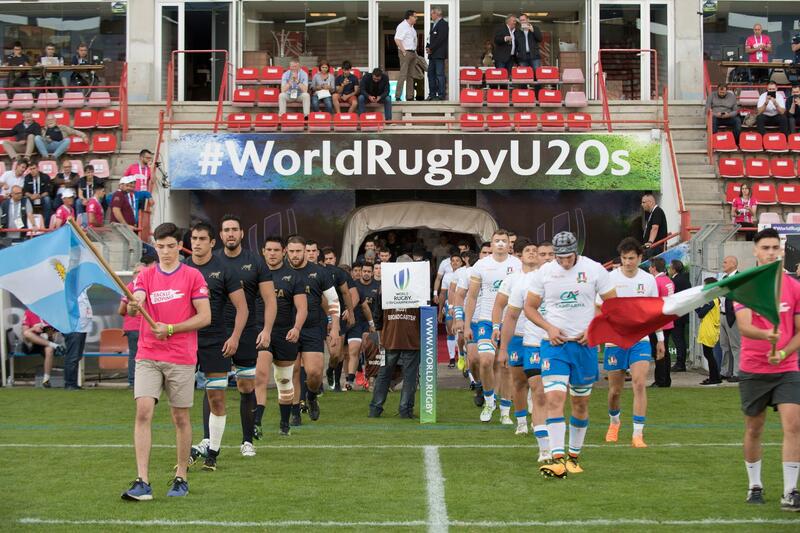 World Rugby U20 ChampionshIp 2018: Italy v Argentina Italy and Argentina take to the field on day three of the World Rugby U20 Championship 2018 at the Stade de la Mediterranee in Béziers on 7 June. Photo: Laurent Boutonnet / World Rugby. 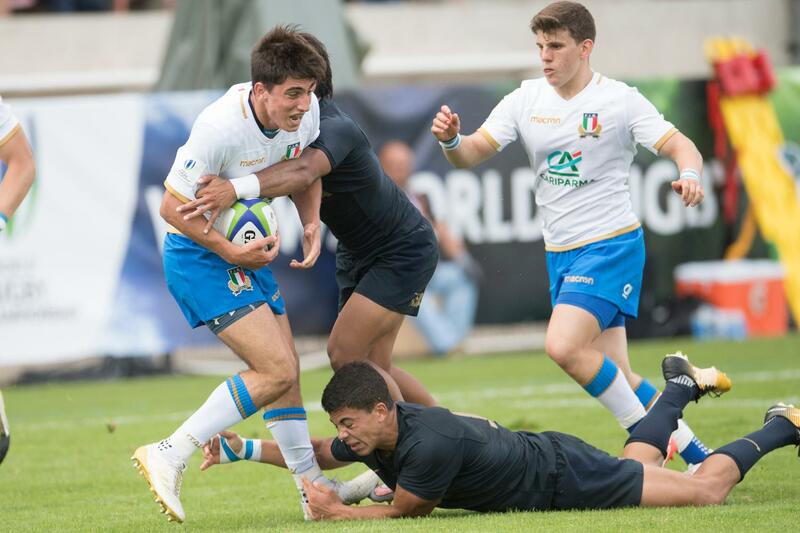 World Rugby U20 Championship 2018: Italy v Argentina Argentina replacement Ignacio Mendy scores a try in their Pool B loss to Italy on day three of the World Rugby U20 Championship 2018 at the Stade de la Mediterranee in Béziers on 7 June. Photo: Laurent Boutonnet / World Rugby. 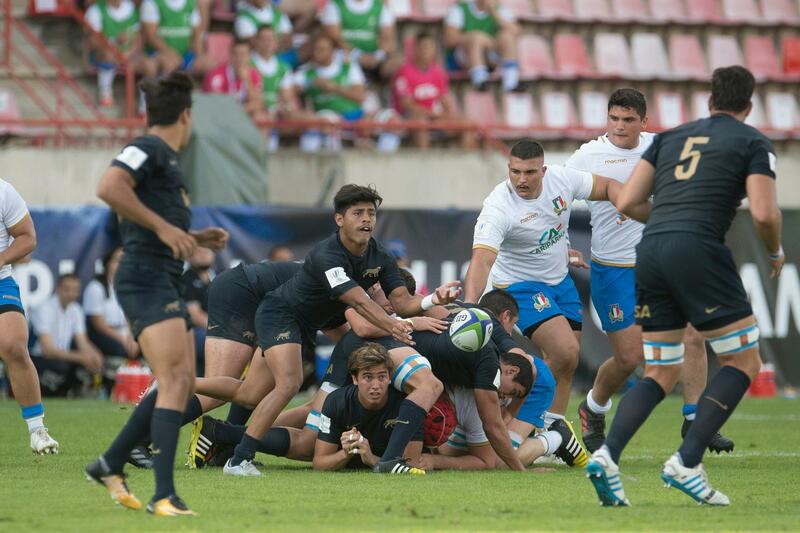 World Rugby U20 Championship 2018: Italy v Argentina Argentina centre Santiago Chocobares is tackled in their Pool B match with Argentina on day three of the World Rugby U20 Championship 2018 at the Stade de la Mediterranee in Béziers on 7 June. Photo: Laurent Boutonnet / World Rugby. 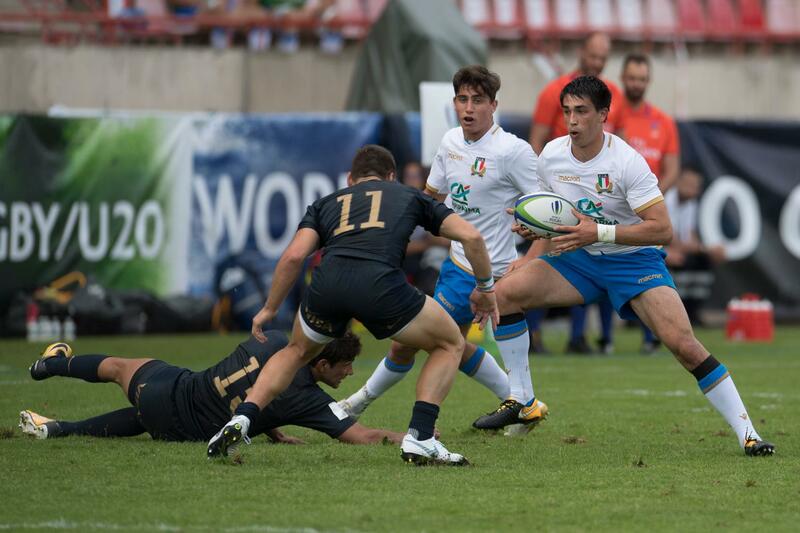 World Rugby U20 Championship 2018: Italy v Argentina Argentina make a break in their Pool B loss to Italy on day three of the World Rugby U20 Championship 2018 at the Stade de la Mediterranee in Béziers on 7 June. Photo: Laurent Boutonnet / World Rugby. 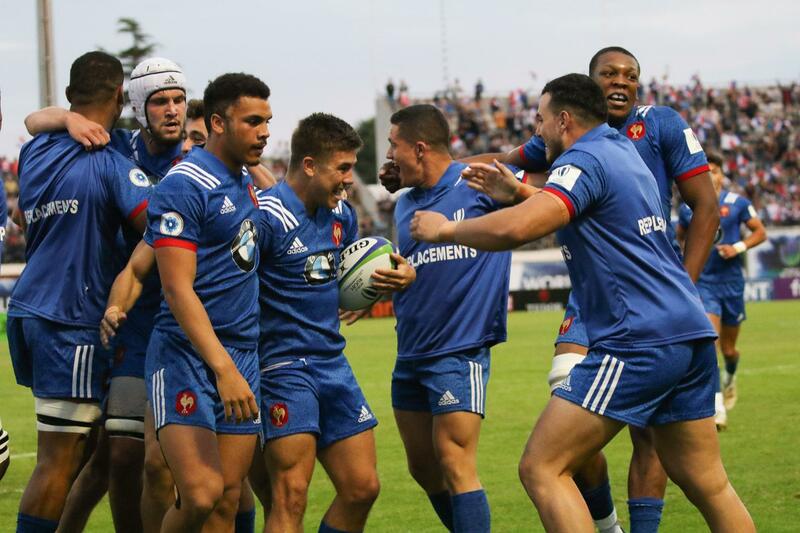 World Rugby U20 Championship 2018: Italy v Argentina Italy's match with Argentina was a closely-fought affair on day three of the World Rugby U20 Championship 2018 at the Stade de la Mediterranee in Béziers on 7 June. Photo: Laurent Boutonnet / World Rugby. 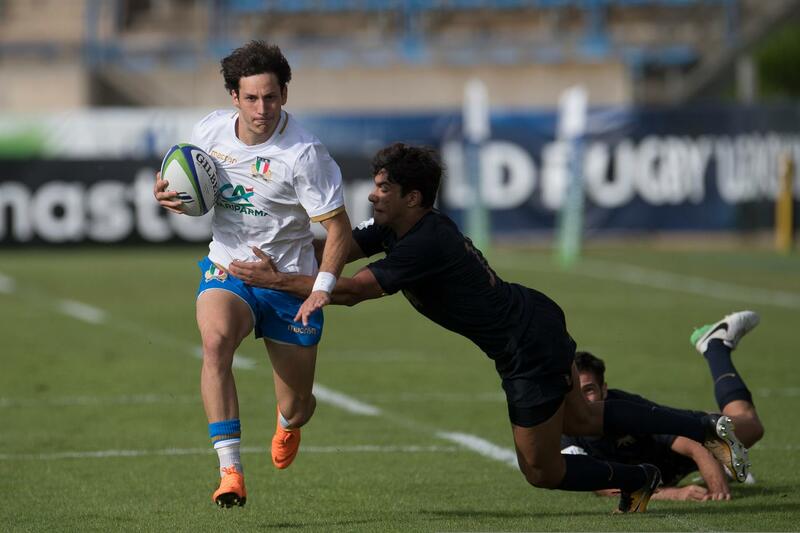 World Rugby U20 Championship 2018: Italy v Argentina Italy winger Andrea de Masi tries to wrong-foot the Argentina defence in their Pool B match on day three of the World Rugby U20 Championship 2018 at the Stade de la Mediterranee in Béziers on 7 June. Photo: Laurent Boutonnet / World Rugby. World Rugby U20 Championship 2018: Italy v Argentina Argentina scrum-half Gonzalo Garcia fires a pass in their Pool B match with Italy on day three of the World Rugby U20 Championship 2018 at the Stade de la Mediterranee in Béziers on 7 June. Photo: Laurent Boutonnet / World Rugby. World Rugby U20 Championship 2018: Wales v Japan Wales battled past Japan 18-17 on day three of the World Rugby U20 Championship 2018 at the Stade Aime Giral in Perpignan on 7 June. Photo: Pascal Rodriguez / World Rugby. 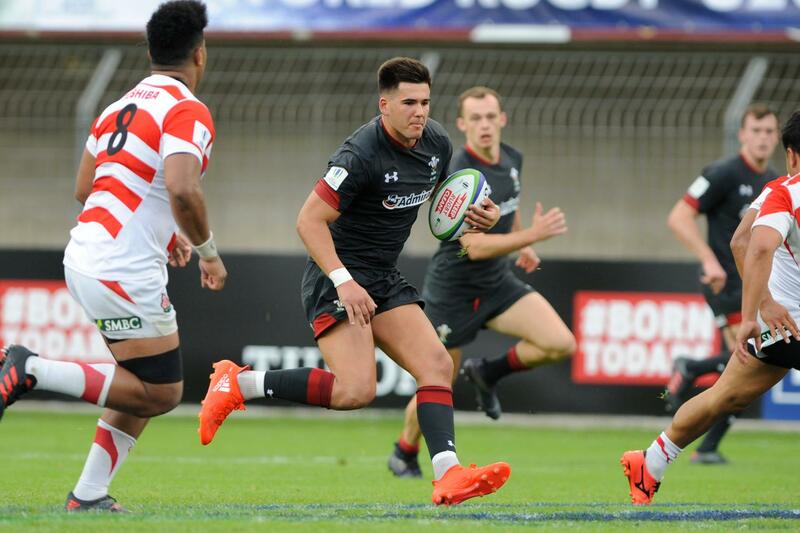 World Rugby U20 Championship 2018: Wales v Japan Japan scored three tries but when down 18-17 to Wales on day three of the World Rugby U20 Championship 2018 at the Stade Aime Giral in Perpignan on 7 June. Photo: Pascal Rodriguez / World Rugby. World Rugby U20 Championship 2018: Wales v Japan The Japan team leave the field after their warm-up on day three of the World Rugby U20 Championship 2018 at the Stade Aime Giral in Perpignan on 7 June. Photo: Pascal Rodriguez / World Rugby. 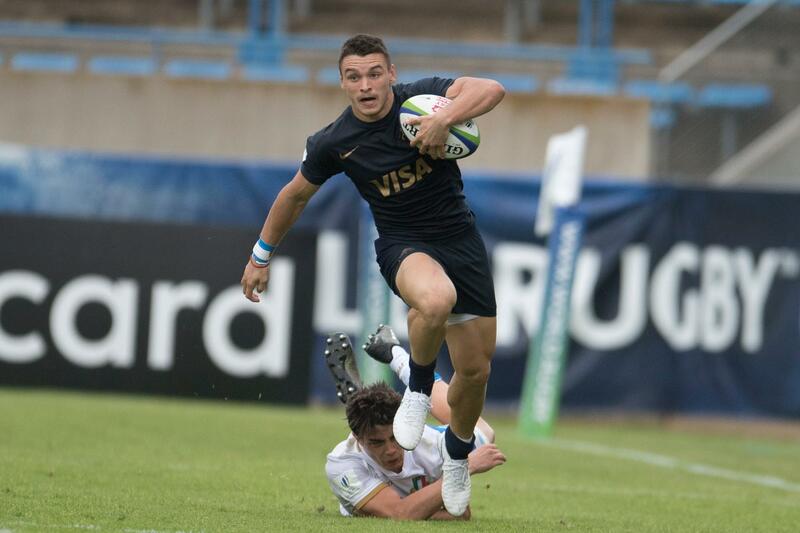 World Rugby U20 Championship 2018: Italy v Argentina Italy winger Giovanni D'Onofrio tries to break free in their Pool B match with Argentina on day three of the World Rugby U20 Championship 2018 at the Stade de la Mediterranee in Béziers on 7 June. Photo: Laurent Boutonnet / World Rugby. 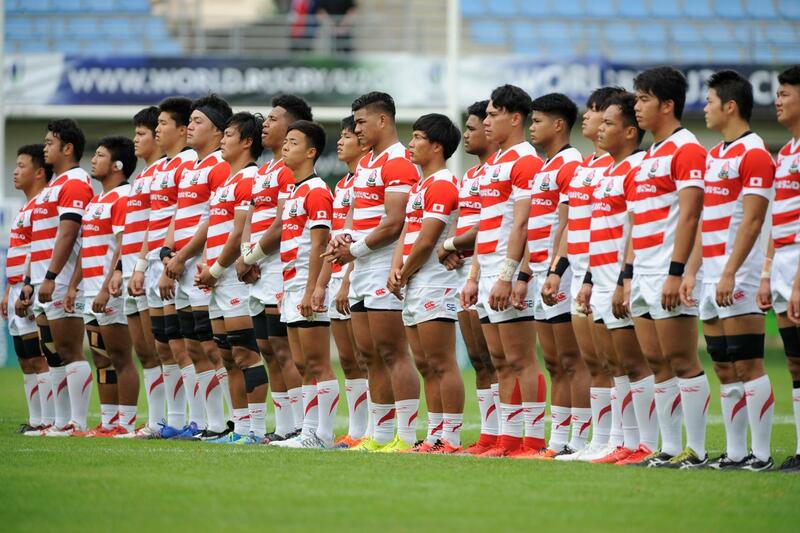 World Rugby U20 Championship 2018: Wales v Japan The Japan team line up for the anthem before their Pool A match with Wales on day three of the World Rugby U20 Championship 2018 at the Stade Aime Giral in Perpignan on 7 June. Photo: Pascal Rodriguez / World Rugby. World Rugby U20 Championship 2018: Italy v Argentina Argentina players show their support for Keep Rugby Clean Day during warm-up for their match with Italy on day three of the World Rugby U20 Championship 2018 at the Stade de la Mediterranee in Béziers on 7 June. Photo: Laurent Boutonnet / World Rugby. 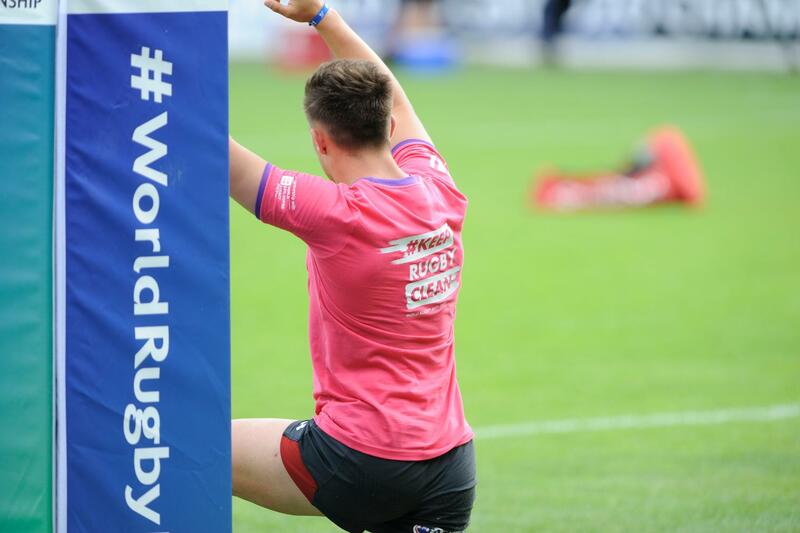 World Rugby U20 Championship 2018: Wales v Japan A Welsh player shows his support for Keep Rugby Clean Day ahead of their match with Japan on day three of the World Rugby U20 Championship 2018 at the Stade Aime Giral in Perpignan on 7 June. Photo: Pascal Rodriguez / World Rugby. 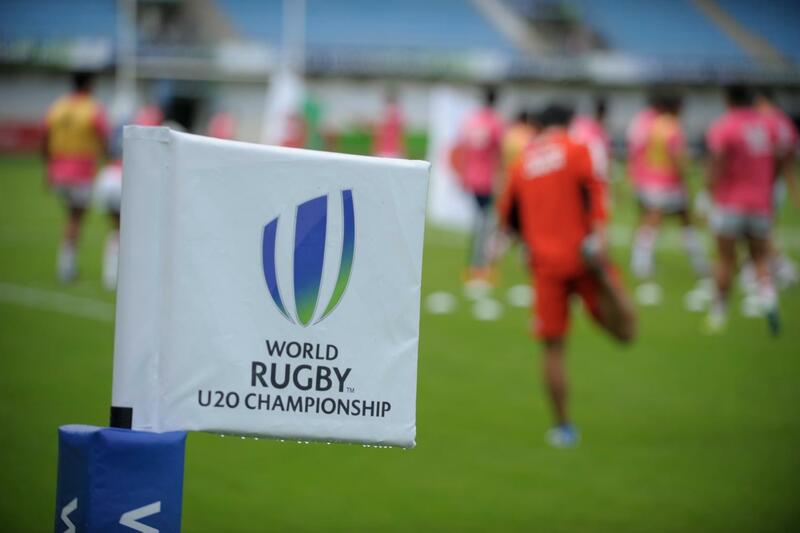 World Rugby U20 Championship 2018: Wales v Japan Japan's players show their support for Keep Rugby Clean Day ahead of their Pool A match with Wales on day three of the World Rugby U20 Championship 2018 at the Stade de la Mediterranee in Béziers on 7 June. Photo: Laurent Boutonnet / World Rugby. World Rugby U20 Championship 2018: Wales v Japan Japan players arrive wearing t-shirts to support Keep Rugby Clean Day on on day three of the World Rugby U20 Championship 2018 at the Stade Aime Giral in Perpignan on 7 June. Photo: Pascal Rodriguez / World Rugby. 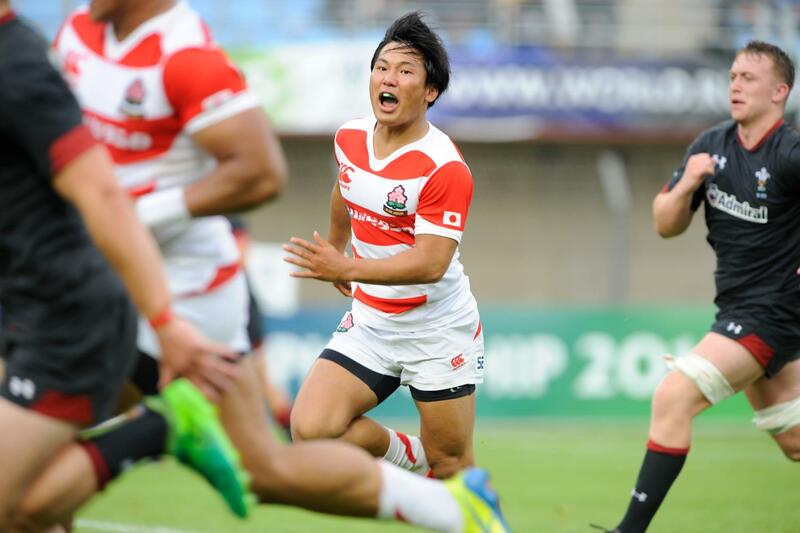 World Rugby U20 Championship 2018: Wales v Japan Japan's players arrive in t-shirts supporting Keep Rugby Clean Day on day three of the World Rugby U20 Championship 2018 at the Stade Aime Giral in Perpignan on 7 June. Photo: Pascal Rodriguez / World Rugby.